This LiveView has been created with Adobe Flex 3.0 (SDK for Flash ActionScript) to be a monitoring and managing part of a prototype reality game based on geographical locations. After the game master has created a game, participants can join the game using their mobile devices with integrated GPS functionality. 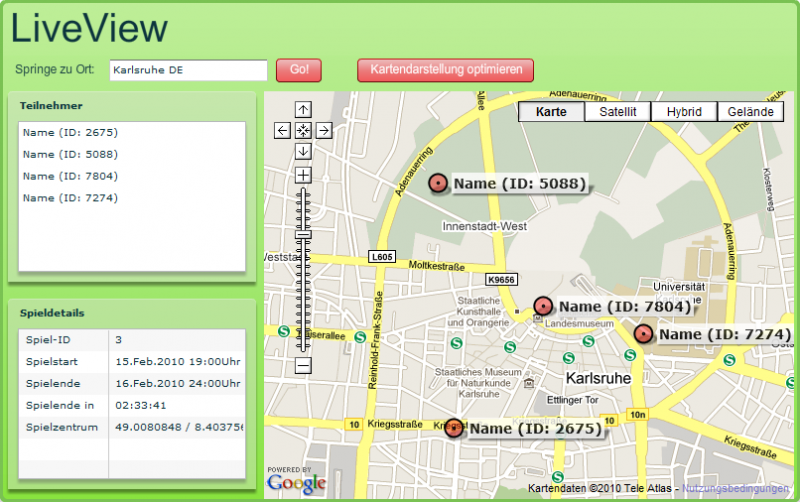 The participants then appear online in the LiveView with their exact location. 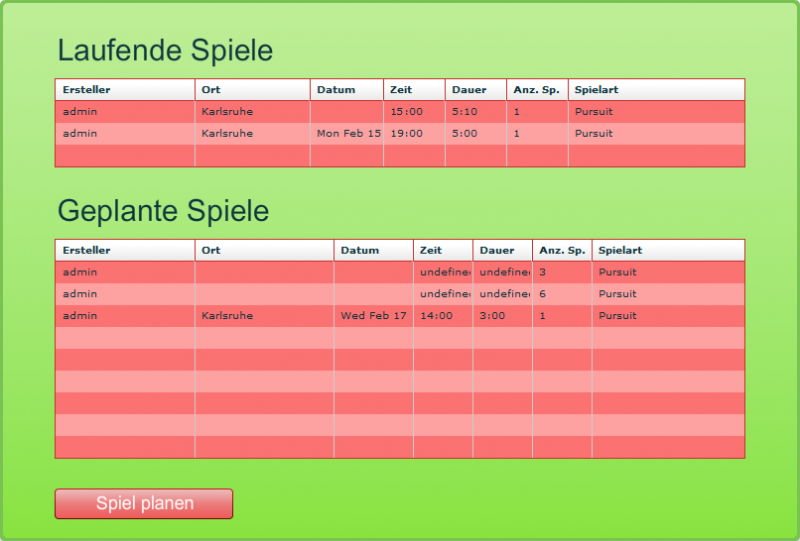 The LiveView allows the game master (or any other audience) to follow the game in real-time. 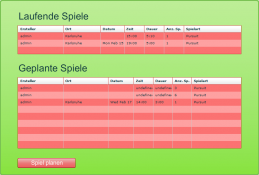 It is possible to find all participants on a map through a list and also to get more information about the game and the location.